Here’s a look at the uses in animation of the civil rights movement leader Martin Luther King. Unlike comics, Dr. King doesn’t seem to appear very often in animation. Concerns about creating offense, given most American animation is comedic? A reflection of the lack of diversity in who writes/produces animation? Just no reason or way to include a Dr. King reference in the plot? “Our Friend, Martin” was a 1999 direct-to-VHS (and later direct-to-DVD) animated film about the life of Martin Luther King. The story’s told via the use of a time-travel plot device. A young boy finds a former pocket watch of Dr. King’s, which somehow enables him to visit Dr. King in his youth. He also gets to see what the world would be like without Dr. King’s efforts. The tone of this film feels much like an episode of “Captain Planet,” for better or worse, but a nice effort. The film’s noteworthy for recruiting an all-star group of voice actors. The actors include: LeVar Burton (as 26-year-old Dr. King); Oprah Winfrey (as Coretta Scott King); Ed Asner; Frank Welker (as Bull Connor); Jess Harnell; Jaleel White (as the teenaged Dr. King); and Dexter Scott King (Dr. King’s son, playing his father in his 30s). The film was re-released to DVD, but both it and the VHS release have been out of print for some time. “Histeria!” was a late 1990s/early 2000s animated series that attempted to teach history through the same type of irreverent humor that was used in “Animaniacs” and “Pinky and the Brain.” It helped those shows’ staff were also the producers of “Histeria!.” Despite a few flaws (toilet humor, etc. ), the show had some popularity, but soon vanished from the airwaves. That’s despite the requirement of US over-the-air broadcasters to air three hours a week of educational programming. “E/I” was one of the reasons “Histeria!” was created in the first place. 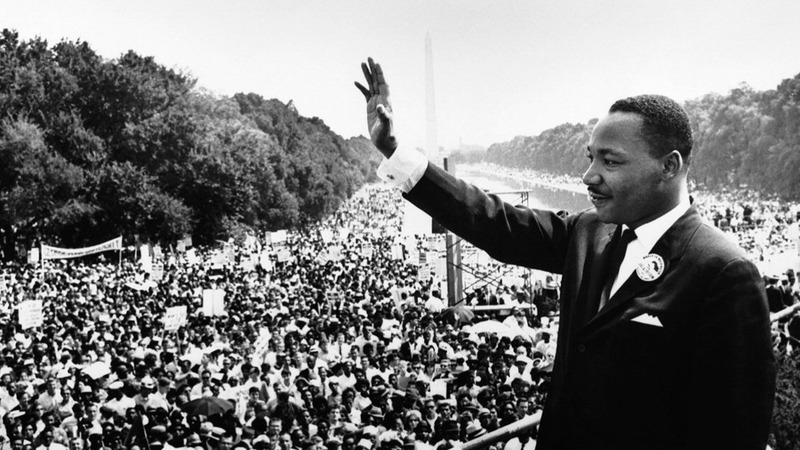 One episode featured the show’s characters visiting Washington, DC on August 28, 1963, during the famous “March on Washington” and the day Dr. King delivered his famous “I Have a Dream” speech. The speech is played with a minimum of the show’s usual irreverent humor. That’s as opposed to heavy use of such earlier in the episode, during a segment where the cast visit Rosa Parks during the start of the famous Montgomery bus boycotts. As of 2016, Warner Archive has released the complete series to DVD. “The Boondocks,” the comic strip turned into an animated series on Cartoon Network’s Adult Swim block, featured in its first season an episode entitled “Return of the King.” The episode was an “imaginary story” about what would happen if Dr. King hadn’t died after being shot. Instead, he’s shown here as merely in a coma until the present day. After emerging from his coma, Dr. King spends the rest of the episode interacting with the Freeman family. King’s shown reacting to the modern world, as well as the current status of African-Americans. The episode received some criticism (from Reverend Al Sharpton) over a scene with Dr. King cursing/using the n-word. This episode is available as part of “The Boondocks” season one DVD box set.